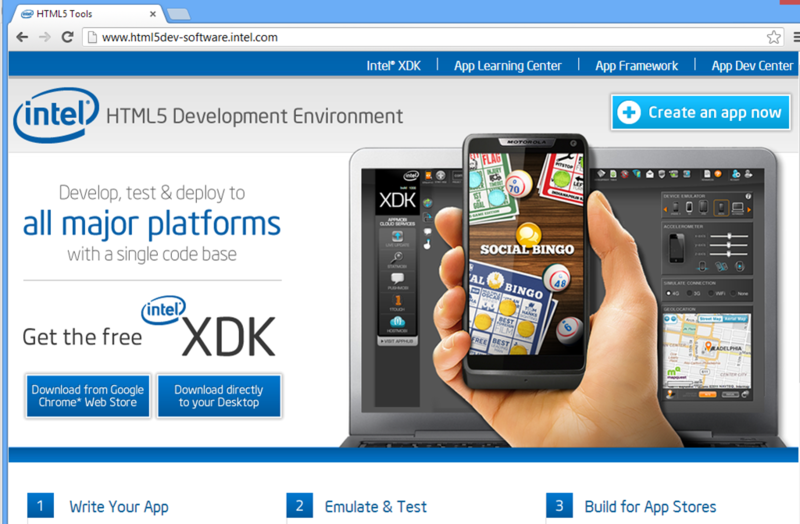 Today at its Software Conference in Paris Intel presented its HTML5 development tools. 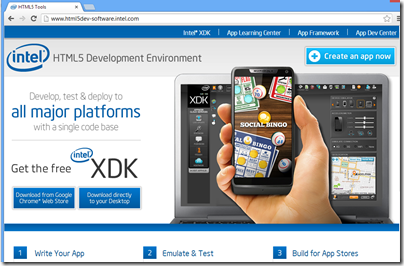 The XDK is fully compatible with the PhoneGap HTML5 cross platform development project, providing many features that are missing from the open source project. PhoneGap is Adobe’s commercial variant of Cordova. It looks as if Intel is doing its own implementation of features which are in PhoneGap but not Cordova, which might not please Adobe. Apparently code that Intel adds will be fed back into Cordova in due course. The build service lets you compile and deploy for these platforms without requiring a local install of the various mobile SDKs. It is free and according to Intel’s Thomas Zipplies there are no plans to charge in future. The build service is Intel’s own, and not related to Adobe’s PhoneGap Build, other than the fact that both share common source in Cordova. This also is unlikely to please Adobe. 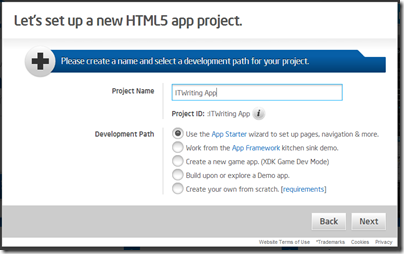 You can start a new app in the browser, using a wizard. Given that the XDK supports Windows 8 modern apps and Windows Phone 8, this is also a route to porting from iOS to those platforms. Why is Intel doing this, especially on a non-commercial basis? According to Zipplies, it is a reaction to “walled garden” development platforms, which while not specified must include Apple iOS and to some extent Google Android. Note that both iOS and almost all Android devices run on ARM, so another way of looking at this is that Intel would rather have developers work on cross-platform apps than have them develop exclusively for ARM devices. Zipplies also says that Intel can optimise the libraries in the XDK to improve performance on its processors. 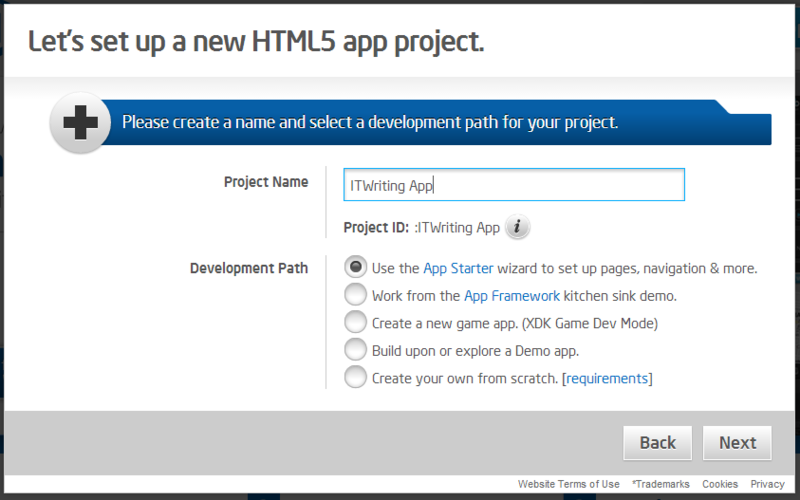 You can access the HTML5 development tools here. The CPU is fast and is terrific at single-threaded performance, but because so much of the electronics inside the CPU is dedicated to out of order execution, branch prediction, speculative execution, all of the technology that has gone into sustaining instruction throughput and making the CPU faster at single-threaded applications, the electronics necessary to enable it to do that has grown tremendously. With four cores, in order to execute an operation, a floating point add or a floating point multiply, 50 times more energy is dedicated to the scheduling of that operation than the operation itself. If you look at the silicone of a CPU, the floating point unit is only a few percentage of the overall die, and it is consistent with the usage of the energy to sequence, to schedule the instructions running complicated programs. 50X is ridiculous if it encourages you to believe that there is an alternative which is 50X better. The argument he makes, for a power-efficient approach for parallel processing, is worth about 2X (give or take a little). The best example of this, it turns out, is the Intel MIC [Many Integrated Core] architecture. Knights Corner is superior to any GPGPU type solution for two reasons: (1) we don’t have the extra power-sucking silicon wasted on graphics functionality when all we want to do is compute in a power efficient manner, and (2) we can dedicate our design to being highly programmable because we aren’t a GPU (we’re an x86 core – a Pentium-like core for “in order” power efficiency). 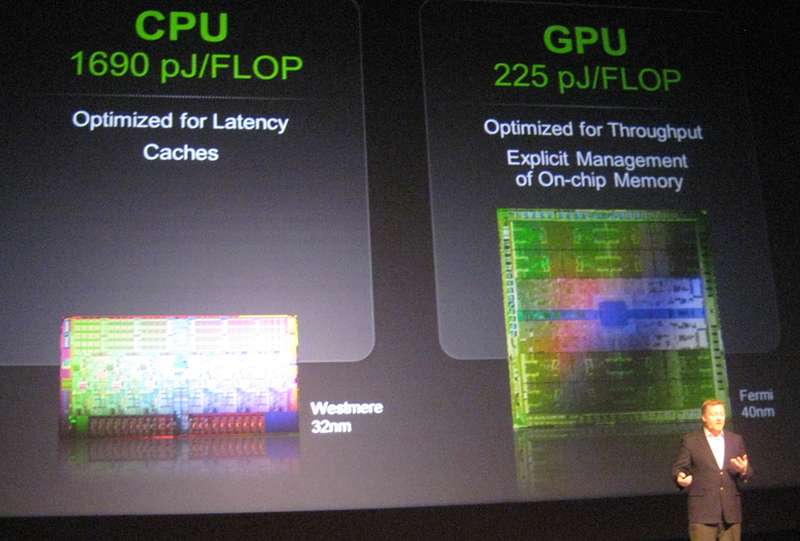 These two turn out to be substantial advantages that the Intel MIC architecture has over GPGPU solutions that will allow it to have the power efficiency we all want for highly parallel workloads, but able to run an enormous volume of code that will never run on GPGPUs (and every algorithm that can run on GPGPUs will certainly be able to run on a MIC co-processor). They don’t really have the equivalent of a throughput-optimized GPU core, but were able to go back to a 15+ year-old Pentium design to get a simpler processor core, and then marry it with a wide vector unit to get higher flops per watt than can be achieved by Xeon processors. The reality is that there is no such thing as a “magic” compiler that will automatically parallelize your code. No future processor or system (from Intel, NVIDIA, or anyone else) is going to relieve today’s programmers from the hard work of preparing their applications for the future. In addition, 960 of Jaguar’s 18,688 compute nodes now contain an NVIDIA graphical processing unit (GPU). The GPUs were added to the system in anticipation of a much larger GPU installation later in the year. Equally, NVIDIA may be rattled by the prospect of Intel offering strong competition for Tesla. It has not had a lot of competition in this space. There is an ARM factor here too. 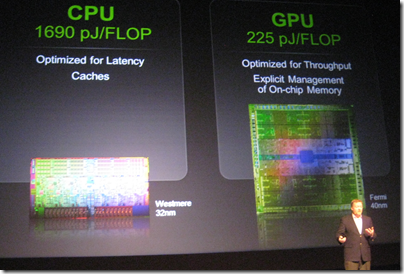 When I spoke to Scott in Beijing, he hinted that NVIDIA would one day produce GPGPUs with ARM chips embedded for CPU duties, perhaps sharing the same memory. Herb Sutter reports that C++ 0x, which will be called C++ 11, has been unanimously approved by the ISO C++ committee. The “11” in the name refers to the year of approval, 2011. The current standard is C++ 98, though amended as C++ 03, so it has taken 8 or 13 years to update it depending on how you count it. This means that compiler makers can get on with implementing the full C++ 11 standard. Most current compilers implement some of the features already. This Apache wiki shows the current status. A quick glance suggests that the open source GCC is ahead of the pack, followed by Intel C++ and then perhaps Microsoft Visual C++. Surprisingly, C++0x feels like a new language: The pieces just fit together better than they used to and I find a higher-level style of programming more natural than before and as efficient as ever. If you timidly approach C++ as just a better C or as an object-oriented language, you are going to miss the point. The abstractions are simply more flexible and affordable than before. Rely on the old mantra: If you think of it as a separate idea or object, represent it directly in the program; model real-world objects, and abstractions directly in code. It’s easier now. Concurrent programming is better supported in C++ 11, important for getting the best performance from modern hardware. That said, C++ 11 remains a demanding language to learn and use. As Stroustrup notes, since C++ 11 is a superset of C++ 98 it is technically harder to learn all of it, though new libraries and abstractions should help beginners. The reasons for using or not using C++ are not going to change significantly with this new standard. When will Intel’s Many Integrated Core processors be mainstream? I’m at Intel’s software tools conference in Dubrovnik, which I have attended for the last three years, and as usual the big topic is concurrent programming and how to write code that takes advantage of the multiple cores in today’s computers. Clearly this remains a critical subject, but in some ways the progress over these last three years has been disappointing when it comes to the PCs that most of us use. Many machines are only dual-core, which is sub-optimal for concurrent programming since there is an overhead to multi-threading programming that eats into the benefit of having two cores. Quad core is now common too, and more useful, but what about having 50 or 80 or more cores? This enables massively parallel processing of the kind that you can easily do today with general-purpose GPU programming using OpenCL or NVidia’s CUDA, but not yet on the CPU unless you have a super computer. I realise that GPU cores are not the same as CPU cores; but nevertheless they enable some spectacularly fast parallel processing. I am interested therefore in Intel’s MIC or Many Integrated Core architecture, which combines 50 or more CPU cores on a single chip. MIC is already in preview, with hardware codenamed Knight’s Corner and a development kit called Knight’s Ferry. But when will MIC hit the mainstream for servers and workstations, and how long is it until we can have 50 cores on a commodity desktop PC? I spoke to Intel’s chief evangelist James Reinders. “We’ve made those bold steps to dual core, quad core and we’ve got even ten core now, but if you look inside those microprocessors they have a very simple structure. All the cores are hooked together and share their connection to memory, through a shared cache usually that’s on the chip. It’s a simple computer structure, and we know from experience when you build computers with more and more processors, that eventually you go to more sophisticated connections between the cores. You don’t build a 1000-processor super computer and hook them all together with a bus to one memory. “It’s inevitable that on a chip we need to design a more sophisticated connection. That’s what MIC’s about, that’s what the Larrabee project has always been about, a belief that we should take a bunch of x86 cores and hook them together with something more sophisticated. In this case it’s a ring, a bi-directional, 512-bit wide high performance ring, with multiple connections to memory off the chip, which gives us more bandwidth. “The first place you’ll see this is in servers and in workstations, where there’s a lot of demand for a lot of computation. In that case we’ll see that availability sometime by the end of 2012. The Intel product should be out late in that year. “When will we see it in other devices? I think that’s a ways off. It’s a very high core count part, more than 50, it’s going to consume a fair amount of power. The same part 18 months later will probably consume half the power. So inside a decade we could see this being common on desktops, I don’t know about mobile devices, it might even make it to tablets. A decade’s a long time, it gives a lot of time for people to come up with innovative uses for it in software. Incidentally, it is hard to judge how much computing power is “enough”. Although having many CPU cores may seem overkill for everyday computing, things like speech recognition or on-the-fly image processing make devices smarter at the expense of intense processing under the covers. From super computers to smartphones, if more computing capability is available history tells us that we will find ways to use it. Intel’s Suzy Ramirez has posted about the future of MeeGo Linux following Nokia’s decision to base its smartphone strategy on Microsoft’s Windows Phone operating system. Nokia was Intel’s key partner for MeeGo, which was formed by merging Intel’s Moblin with Nokia’s Maemo. says Ramirez, adding that “MeeGo is not just a phone OS”. True; but with the focus also moved away from netbooks it is getting hard to see where MeeGo will have an opportunity to shine. Intel promises to outline its mobile strategy this week at Mobile World Congress. I will be reporting from Barcelona in due course.